Mark Newton of Woodinville’s DiStefano Winery crafts three artisan styles. MARK NEWTON GOT into winemaking back in 1983, launching DiStefano Winery in Woodinville, a sparkling wine house — among the first bubblemakers in the state. He then became more mainstream by moving into production of Bordeaux grapes such as sauvignon blanc, cabernet sauvignon, merlot and cabernet franc. Now he’s going in a new direction, becoming one of Washington’s first vermouth producers. Vermouth is a fortified wine and further flavored, cold-infused with up to 11 botanicals, such as herbs, roots and barks. Typically, it is used for cooking and crafting cocktails, particularly martinis, Negronis and Manhattans. Vermouth is thought to originate in Italy’s Piedmont region, particularly the city of Turin. Newton began working on the project two years ago at the suggestion of one of his wine distributors. He joins broVo Spirits in West Seattle, which makes four styles of vermouth, and Legend Cellars and Hard Row to Hoe in Chelan, as the state’s only vermouth producers. With the Northwest’s growing image as a craft-beverage producer, artisan vermouths fit right in. Here are three vermouths made by DiStefano Winery in Woodinville. All come in 500 mL bottles. Dry Vermouth, $22: Made with sauvignon blanc, this is a delicious example, with herbal notes from the infusion of herbs. Perfect for a Manhattan or dirty martini. Bittersweet Vermouth, $22: Made from cabernet sauvignon, this reveals cherry notes alongside sound bitter notes, with just a kiss of sweetness. Sweet Vermouth, $22: With a bit of black cherry-flavored sparkling water and a slice of orange, or a bit of grapefruit rind, this makes a delicious off-dry Negroni. As a winemaker, Newton had barrels full of the raw materials to begin the process of crafting vermouth. Next door to his winery was J.P. Trodden, makers of handcrafted bourbon, which he needed to create vermouth. 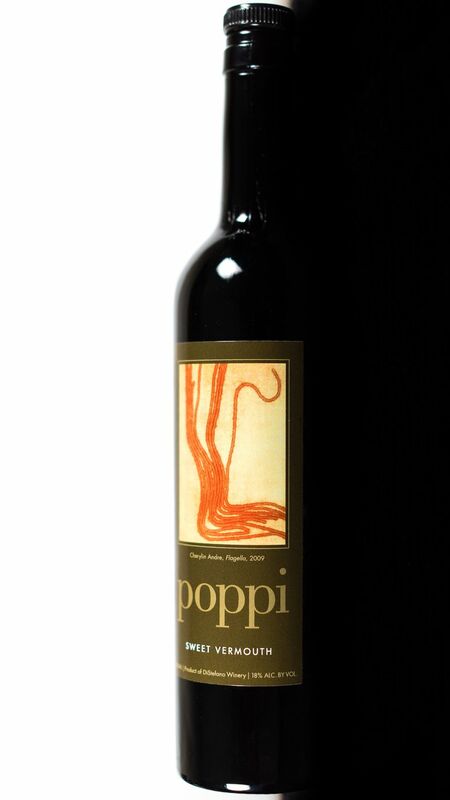 He spent the next two years perfecting his recipe and process, resulting in three styles of vermouth he bottles under the Poppi label — named after his mother, Patricia, who got the nickname Poppi from Newton’s daughter, Catherine. Patricia was known to enjoy a well-made Manhattan. The project has energized Newton, particularly the artistic side that led him to winemaking in the first place, and he and his wife enjoy a spritzer each evening rather than the sparkling wine they used to drink three decades ago. Newton typically introduces vermouth to his winery customers with a spritzer, made with vermouth, sparkling water and a bit of citrus peel. One taste usually is enough to send them out the door with three bottles. Newton is receiving great response to the new product from customers, chefs and bartenders. 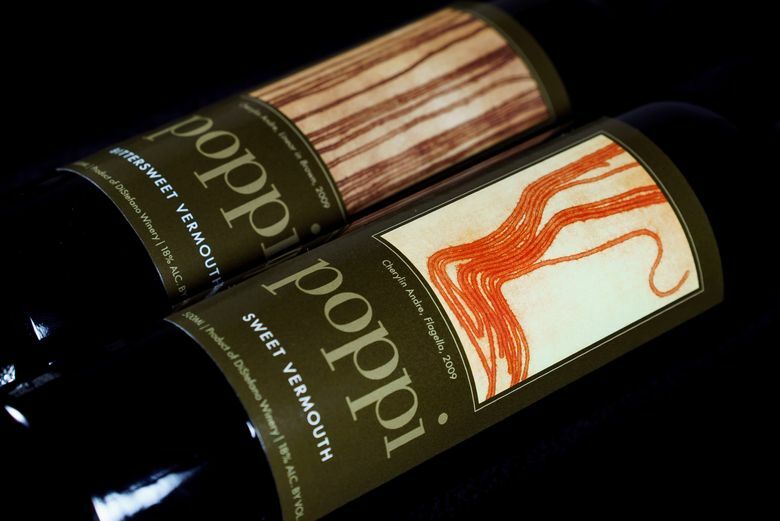 Currently, the vermouths are available at the winery and in limited distribution in the Northwest. If he continues to explore different styles from different grape varieties, Newton might even start a vermouth club if there also is interest from customers, which seems to be growing.